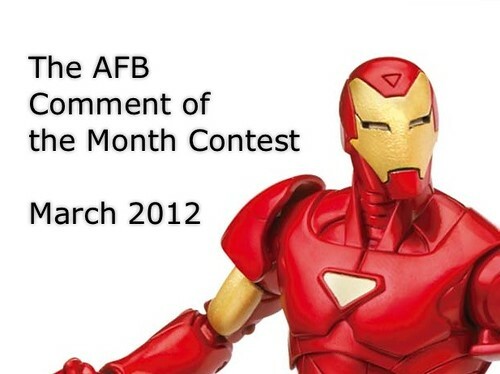 The AFB Comment of the Month Contest for March 2012! ​First off, thanks to everyone who commented on last month’s blog posts! Congratulations to Tom Badguy for being our randomly selected winner! 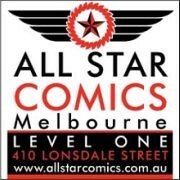 Once we hear from Tom, (you can can PM your choice to "Andy" at the AFB Forum or email me at scott@actionfigureblues.com), his choice of either the DC Universe Classics Wave 20 Hawk OR Dove figure will be on the way when available from Mike’s Comics N’ Stuff. Now to March's Contest: on offer are two great prizes, either the Marvel Legends Wave 1 Extremis Iron Man figure or the Batman Legacy Classic Catwoman figure from Mattel - either of which would be a great prize!